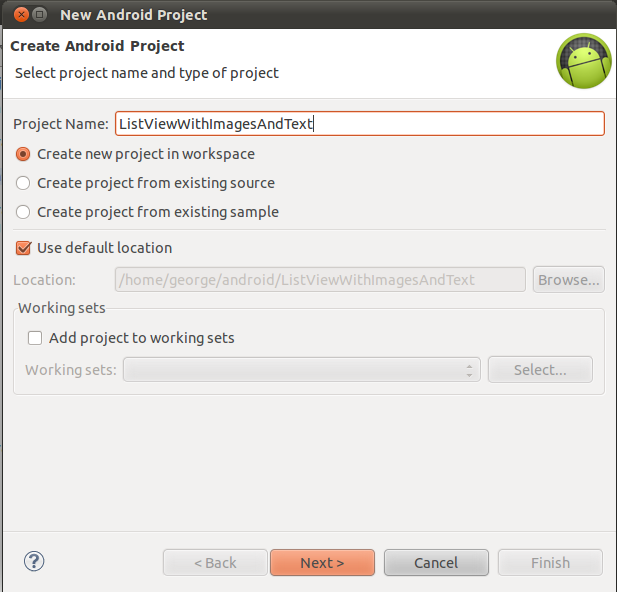 In this article we will create an android application with a listview which holds both text and images as listview items. 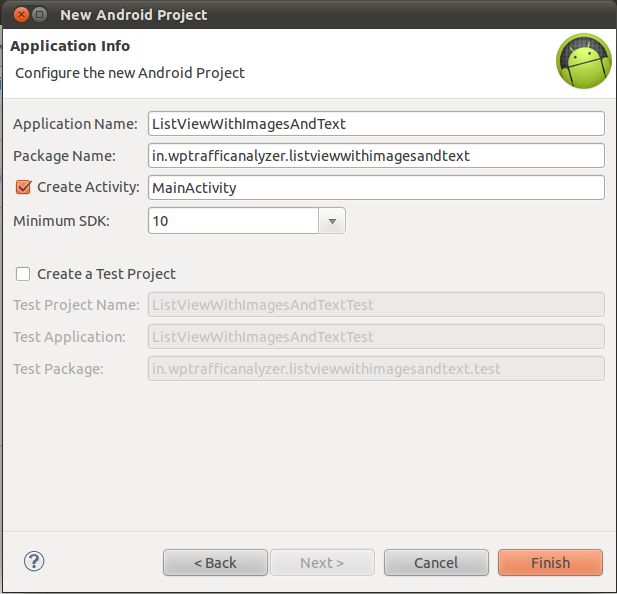 An extension to this article is available in the article titled “Android ItemClickListener for a ListView with Images and Text“, where an item click event handler is added. For loading images and text from Internet , see the article titled “Android Lazy Loading images and text in listview from http json data“. Hello, this is a very good example, but how could I do it if the images are not resources in the project?? I mean like a Bitmap or something. Hello, and what if I want to show some pictures I have downloaded from internet and are stored in a list? I’m trying to show some news downloaded from a rss source and every news contains a picture, and I would like to show it, but no results until now, only text is shown. How could I do it?? Hi John, could you let me know how you did it? Great tutorial! By far the easiest one to understand. Thanks! 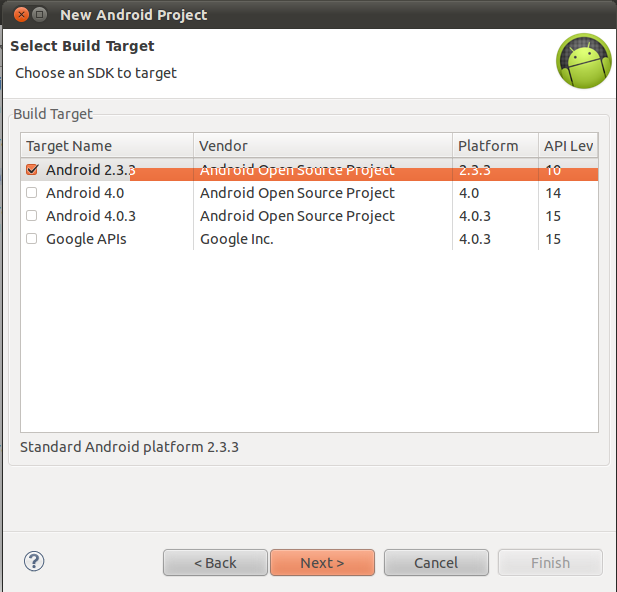 This is great tutorial, ss there any further enhancement to this utility on when list item click? Wow.. Thanks for great tutorial..
great tutorial but how can i display pictures coming from server (located in a folder) and just their id whitch are saved in a database mysql??? 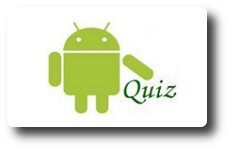 I want find out how can i use a web service for creating a table sqlite in android to synchronize with the table mysql and display with her all my pictures!!!!!! Thank for your tutorial. it realy good example for custom listview. But I have a problem. When I get information from SQLite via Cursor, and send it to arraylist. 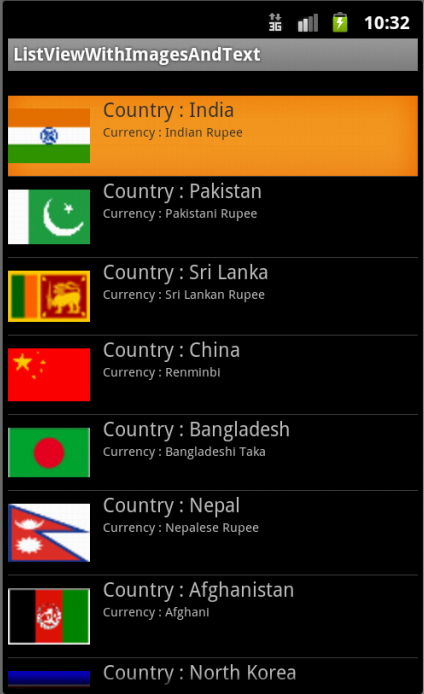 With “country” and “currency” list, I can do it, but “flag” is can’t. In my roject I custom it like “image Avatar”, “Name”and “type”. Type maybe is: bar, coffee or restaurant. If type is bar, image Avatar will be show “bottle of beer”, and if is coffee, it show “coffee cup”, like this for bar. So, how I can do it? Please help me. Thanks for this tutorial, it helps a lot. Where’s the magic? Is it a mistake in the documentation? how can we add two or more images in listview??? Great tutorial, Now If want to delete some particular row then how’s that possible?? Great Tutorial helps me lot….Thank You very much…. Very good lesson!!! The large thank. Really helpfull tutorial. Thank you very much. First things first: thanks for this great tutorial! Second: I have adapted the code for my android app, but I am faced with a small problem: text gets cut off, since the text string is variable. Would know how to solve this problem? Or point me in the rigth direction (web content, etc… xD)? android:orientation=”vertical” image is displayed over the text, but text is presented correctly (without being cut off). android:orientation=”horizontal” image is displayed to the left of the text, but text is presented incorrectly (cut off). Thanks, this is a straight forward example. Hi george i want know how can i show different different text along with country information at bottom of imageview whenever clicked by any user and also i want know i have take imagebutton on right of text view and i want call new activity how can i do plz let me know reply soon…………..
Hey your code worked properly.Next thing I want to know is to how to put the strings below the images,I want to display the list view as an image and the text as up and down.pls reply…. How good and simple example of ListView with image and text. Thank you so much for this wonderful example. Can you tell me how to add different colors as background for each flag? Very good tutorial. Worked properly. Thank You. how to upload image and text via admin app using php then download by custom list view. Hi, how to add buttons in each listview row? You can Simply add button in the XML layout. But Its nothing more then a show. As we are not able to perform any selection operation neither on Listview, Image, Text nor on Buttons. So In case you get the solution please let me know. Hi..do you get the solution yet? im stuck..help me please..
in xml i have to design plzzz answer me as soon as. wonderful. can we load the list view from the my sql by using php!!!!!!! your tutorial is very helpful to me. if we image and text taken from mysql database using php in list view. how can we implement???? plz help me sir…. I need help in fetching the image from te mysql database to andoid.I have stored the image in database with the file name of image like flower_veg.jpg.I am not able to fetch the image.Kindly help me in this.